1. In a pan, heat oil and butter. Sauté onion first for 2 minutes until it becomes translucent. Add garlic, then sauté until it turns golden brown. Add the red and green bell pepper. Continue sautéing for 2 more minutes. 2. 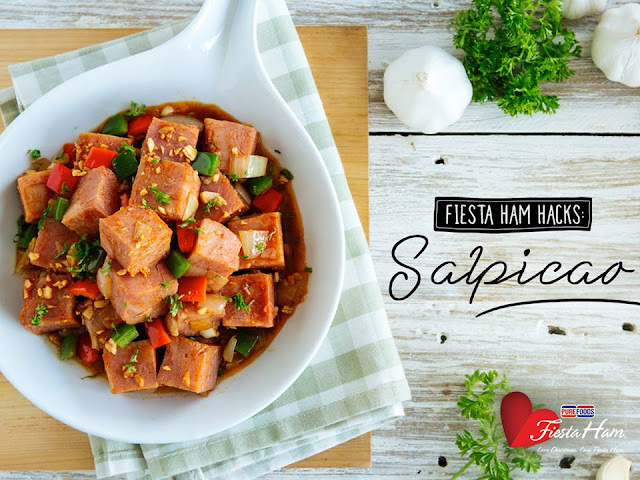 Add the cubed FIESTA HAM and continue sautéing until all the ingredients are well-combined. 3. Add the white wine and let it reduce for 10 minutes. Add the cayenne pepper and paprika. Season with salt and pepper. 4. Place in a serving plate and garnish with chopped parsley leaves. Serve hot.